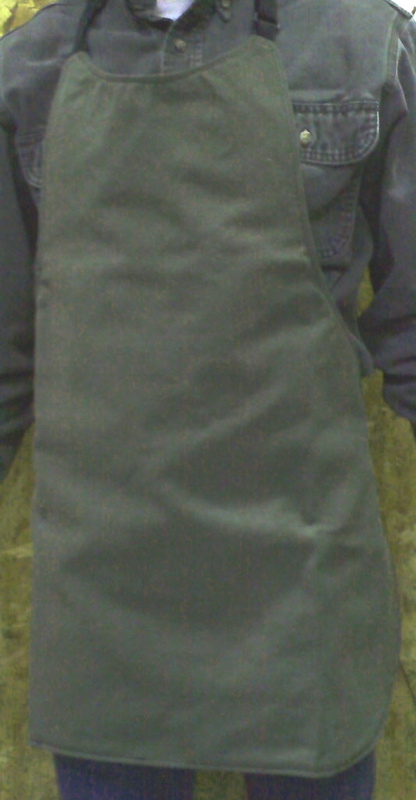 Our Flame Retardant Knifemaker Apron is made from Fyrguard fabric and is double layered. It will keep you safe while you work, even if sparks go down the bib. The apron is lined with Fyrguard fabric as well. A length perfect for the knifemaker, not too long and not too short! Extends to mid thigh. Generous cotton waist tie allows ample adjustments for a variety of waist sizes. No pockets to catch grinder dust!